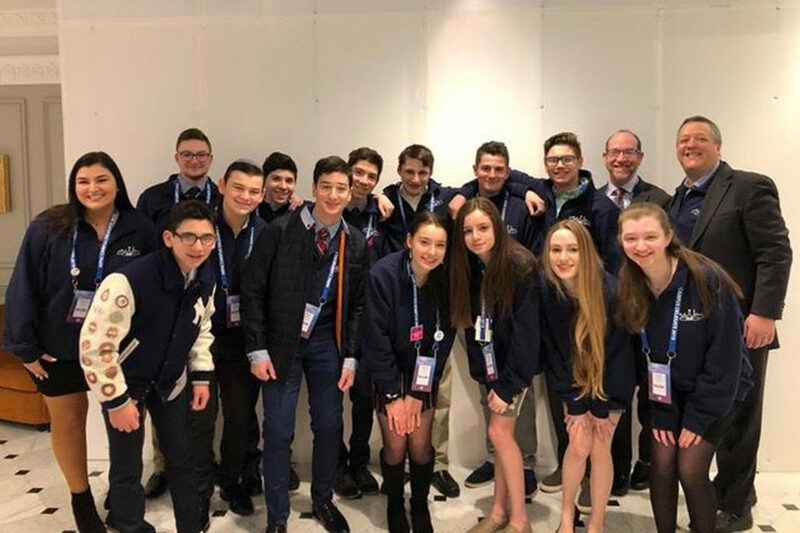 Now in its third year of existence, the Israel Advocacy Club (IAC) of Bi-Cultural Hebrew Academy of Connecticut–Upper School brought 17 students to the 2019 AIPAC Policy Conference held in Washington, D.C. in March. In addition to listening to the remarks of dignitaries such as U.S. Ambassador to Israel David Friedman, House Speaker Nancy Pelosi and former U.S. Ambassador to the United Nations Nikki Haley, the students had the opportunity to learn in depth about the efforts of AIPAC to support and strengthen the Israel-United States relationship. On the final day of the conference, students headed up to Capitol Hill to speak with members of Connecticut’s congressional delegation about the need for full support of Israel at the highest levels of the American government. Under the guidance of IAC advisor and Judaics teacher Ari Lieberman, as well as IAC co-presidents Hanna and Yakubovich, IAC members spent several months preparing for the conference. Now that they’re back home in Stamford, members are already preparing themselves for next year’s event. CAP: Members of Bi-Cultural Hebrew Academy-Upper School’s Israel Advocacy Club at the 2019 AIPAC Policy Conference in Washington.